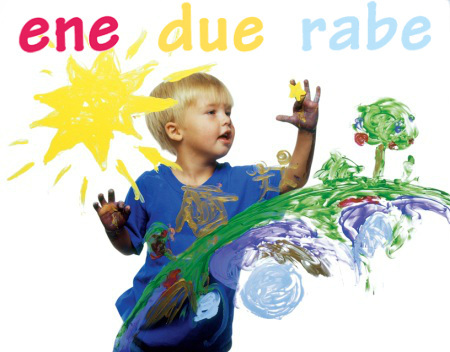 Ene Due Rabe is a new language school for kids aged 3 to 12. Learning languages will be based around fun activities which will stimulate their absorption of the language. Classes for both beginners and native speakers. ONLY native speaker teachers. 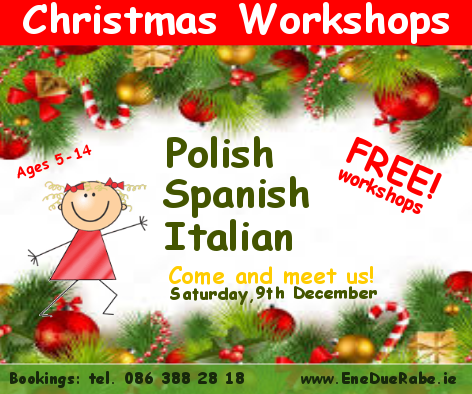 Ene Due Rabe is a new language school providing children aged 3 to 12 with an environment conducive to learning in a fun and exciting way. Learning languages will be based around undertaking fun activities which will stimulate their absorption of the language. Ene Due Rabe will provide the platform for children to learn and practise their language skills while having fun and interacting with other children. We provide classes for both native speakers and beginners. At the moment we have expressions of interest in Spanish, French, Polish, German, Portuguese, Chinese, and Italian. Start early and develop skills for life. Only 3% of Irish school children learn a foreign language, while the European average is 79%. languages up to the age of 9!